We chatted with Andrus Viirg, the chairman of our Board to shed some light on the early years of Latitude59. In the beginning, there was ItechLaw Tallinn Conference in 2008. At this time it was primarily aimed at law companies dealing with tech. The Tallinn chapter got its start thanks to Richard Horning, who was the president of ITech Law as well as the Estonian Honorary Consul in Silicon Valley at the time. Although startup companies were already very attractive and on the rise all over the world, the Estonian startup scene was still making baby steps back then. At first, ITech Law was a one-day event with approximately 50 attendees but it started to slowly get bigger and soon became too big and thus a decision to move forward with our own conference was born. Once it was clear that we’re moving on with our own conference, we were looking at the Estonian map with Priit Salumaa, Jüri Kaljundi, Raido Pikkari, and Richard Horning, and speculating about the name for the conference. Somebody – possibly Richard – asked about the line which passes through Estonia. We figured out it is the 59th latitude line and thought it would be a great name for the conference. That same line also passes through Stockholm, Oslo, and Saint-Petersburg, where the startup scene was growing as well. 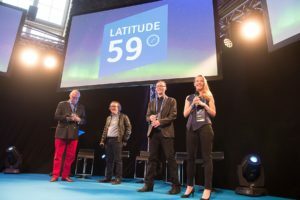 How has Latitude59 changed over the years? Although Latitude59 has always been somewhat connected to my job at Enterprise Estonia (EAS) and many speakers then and now come through my connections in Silicon Valley, there were initially some difficulties presenting the Estonian success stories abroad. 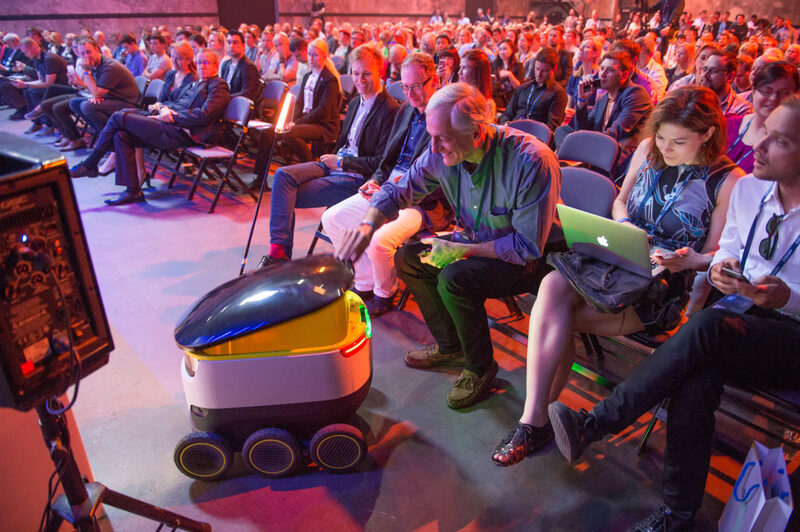 Latitude59 was more of an educational workshop than a conference at that time. However, the local community was in constant touch with Latvian, Lithuanian, and Ukrainian startups. In 2015 the local startup ecosystem started to grow and many venture capitalists became interested in Estonia. 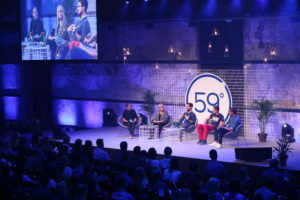 It was a very momentous year for Latitude59 – the number of participants rose to over 1,600 and this was also the first year the conference was streamed live to thousands of people. 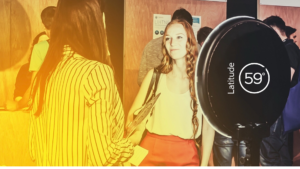 Annika Ljaš, the then CMO of Latitude59, also led the move to Kultuurikatel, our current venue. Latitude59 just hasn’t worn itself out, it stays fresh. This is partly thanks to our vast network and a strong fan club around the world. We’ve made a conscious decision not to grow the audience numbers as otherwise, it would make the networking a bit too difficult. This approach has certainly helped to sustain the quality of the event. We didn’t initially have the courage to believe that Estonia and Latitude59 would have so many success stories but look at us now! Four unicorns and €328m raised in 2018! That’s why the investors don’t want to miss anything either. In the beginning, the main sponsors of Latitude59 were law companies. Today, since we have so many success stories, the greatest support comes from private sponsors as well as Estonian banks, financial institutions, and venture capital companies. 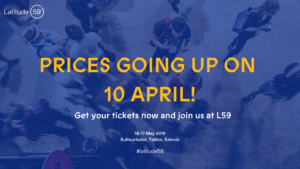 What is the future vision for Latitude59? Latitude59 has to definitely continue! In addition, we are looking for opportunities for internationalization: for example, this autumn we are going to organize Latitude44 conference in Toronto, Canada. Our goal is to keep living up to our reputation because the name Latitude59 is tightly associated with Estonia. 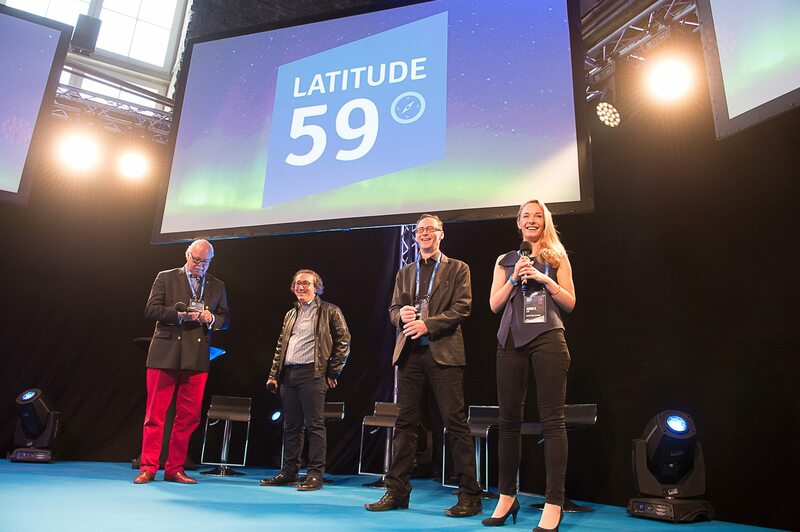 Thank you to everyone who has organized and participated at Latitude59! 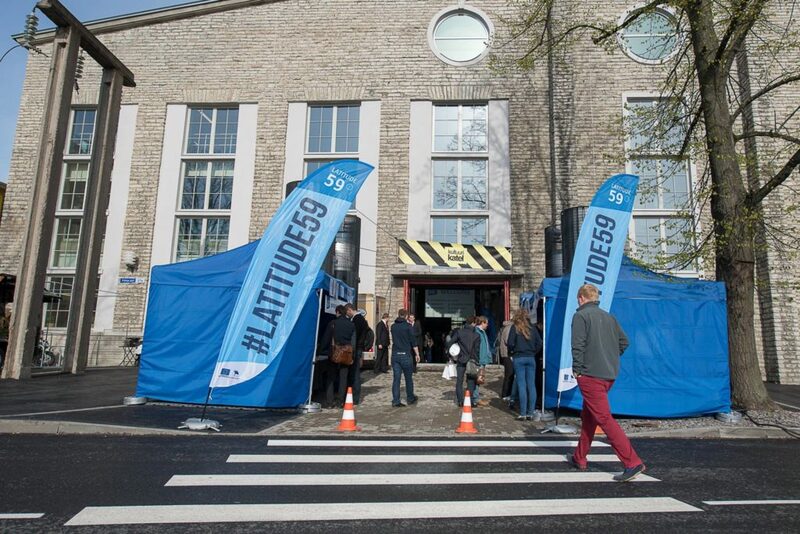 There is still time to get Latitude59 2019 tickets! Join us on 16-17 May in Tallinn, Estonia for inspiring stage program in 15 tracks and many side events, interactive audience sessions, high-stakes pitching competitions, demo area and matchmaking for all the attendees. Our usual suspects’ Founder Stories, Best of Baltics and Reverse Pitching are also there. See you at L59! 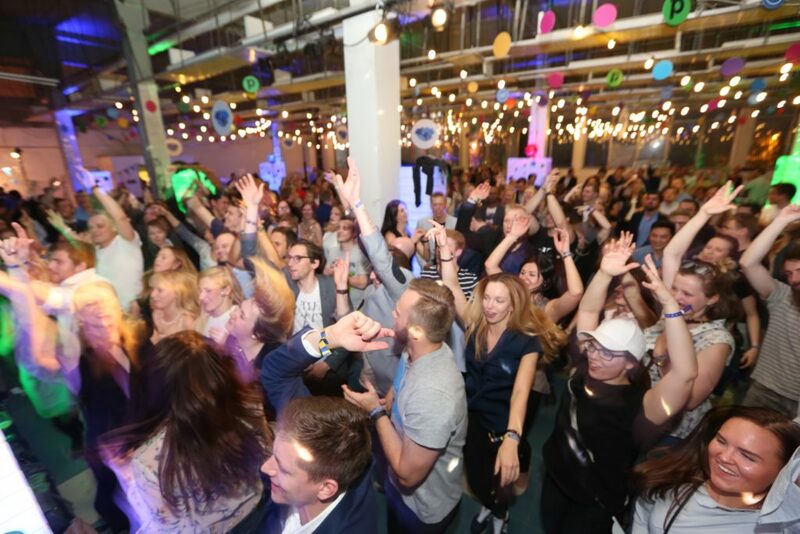 We’ve been working hard these past eight months to bring you new formats, intriguing discussions, quality pitches, inspiring keynotes and that something extra so it’s time to shed some light on this year’s Latitude59 stage agenda. Buckle up for the ride as we’re running a total of four stages this year.